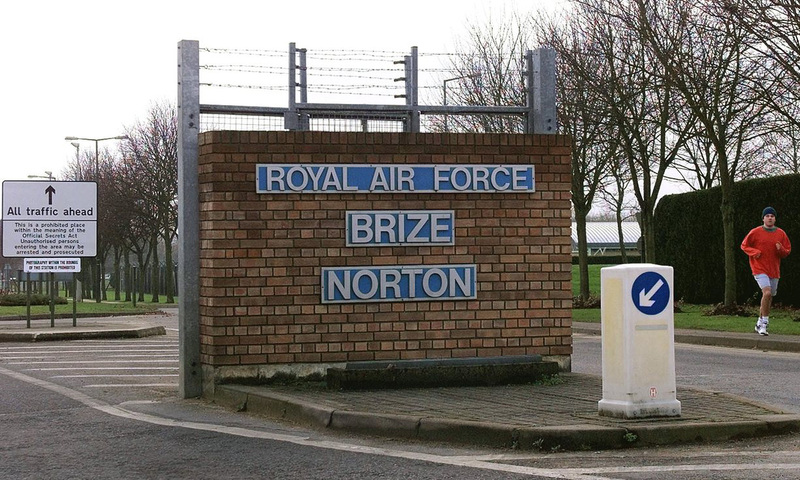 It is thought that the flights probably started or ended at the RAF’s Brize Norton base in Oxfordshire. Materials used in nuclear weapons have been flown between the UK and the US 23 times in the last five years, the Ministry of Defence has admitted. Though the MoD does not give details, the flights are believed to have carried tritium, plutonium and enriched uranium, all vital ingredients of Trident warheads. They probably started or ended at the RAF base at Brize Norton in Oxfordshire. The flights have alarmed politicians and campaign groups, who are worried about accidents causing widespread radioactive contamination. The MoD, however, insists that the transports complied with stringent safety rules. The Guardian reported on 9 February that two MoD emergency exercises in 2011 and 2012 codenamed Astral Bend envisaged planes carrying nuclear materials crashing. One imagined a leak of enriched uranium and plutonium spreading up to five kilometres across south Wales. That prompted a question about the nuclear flights in the House of Commons last week by the Scottish National party’s defence spokesman, Brendan O’Hara MP. In response, the government admitted the frequency of such flights for the first time. “In the last five years, 23 flights carrying defence nuclear materials were undertaken,” the defence minister, Penny Mordaunt, told MPs in a written answer. “All flights were between the UK and the United States on fixed-wing aircraft under the control of UK armed forces.” Details of the cargoes were kept secret “as disclosure would or would be likely to prejudice national security,” she said.